These rain gutter towers fit any vehicle equipped with factory rain gutters, including the 40, 60, 70, and 80 series Toyota Land Cruiser. Kits complete with stainless hardware to assemble the towers and secure it to the vehicle. Two options are available- 45° risers and 30-60° risers. 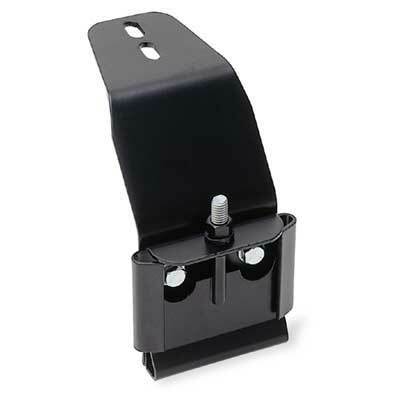 The difference is the riser that connects the gutter clamp section to your roof rack. 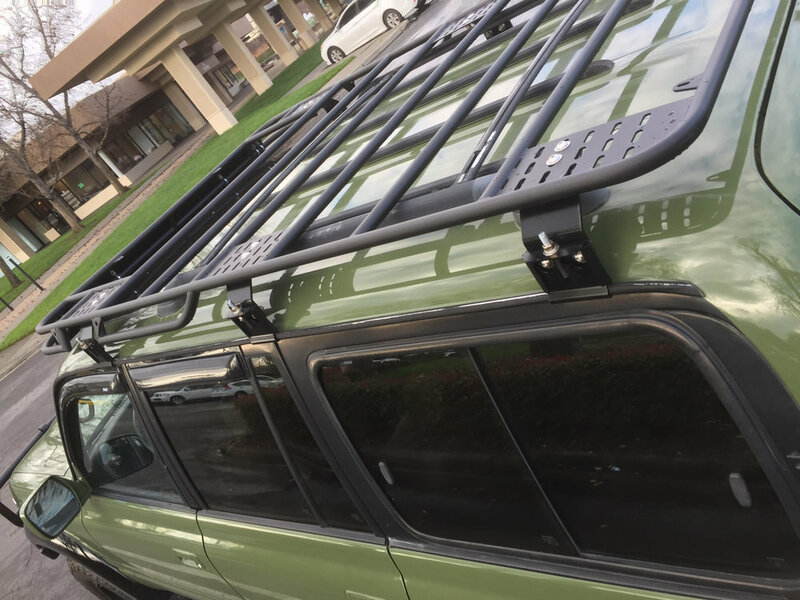 The 45° risers are designed to fit the 40/45 hard tops (using extension plates), and 80 series Land Cruisers that still have their factory rack. 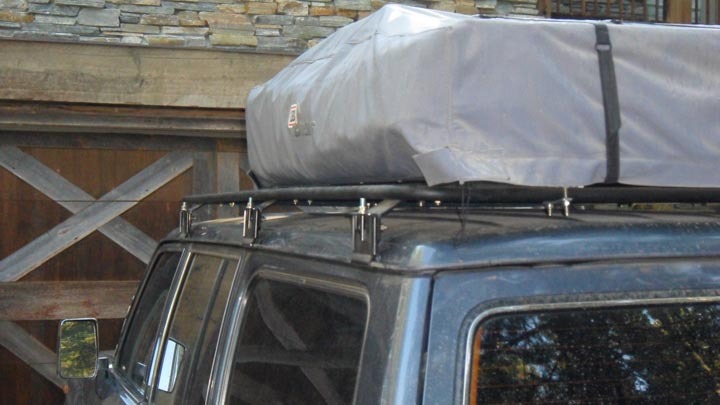 The 30-60° risers are designed to fit the 60/62 body style, but will also fit the 80 series for those who have removed their factory rack, and desire to have a lower roof rack. The height difference is about 1" between the two. The name of the two options come from the angles used in the top riser- the 45° risers use two 45° angles while the 30-60° risers use one 30° and one 60° angle. The 30-60° are lower, and extend inward further, compared to the 45° risers. For FJ40 owners, we offer an additional extension plate to add another 2" of height to your rain gutter towers. This gives your custom 40 rack the added height needed to better clear the roof and allow access to the underside of the rack. These plates are unfinished, and come with matching hardware to pair to your rain gutter towers. If purchased at the same time as the towers, your shipping on these will be refunded.